Central Mongolia, commonly known as the Horse Breeders’ Paradise for its serene beauty is a land of flourishing green meadows, rolling hills and crystal blue lakes and rivers lying at the northern foot of the Khangai Mountain Range. This is where many nomadic families are herding their livestock, and a great place to experience the Mongolian culture at first hand. 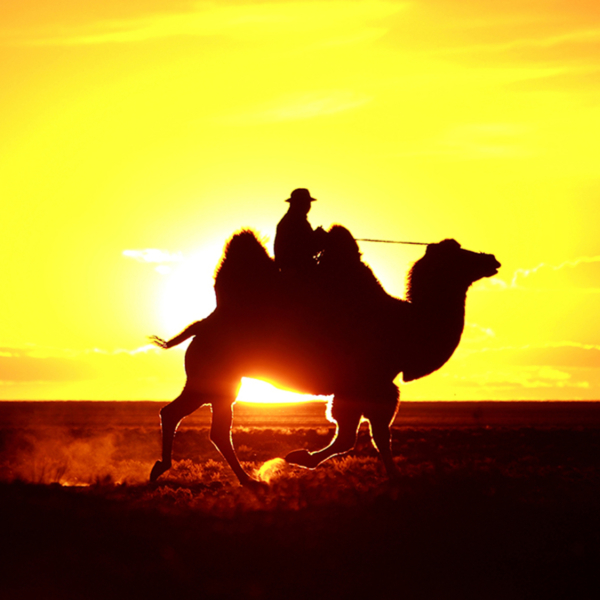 Come with us on a trip that has been specially designed to accommodate travelers of every age, going at an easy pace that would allow one to truly absorb the unique tranquility Mongolia so typical to Mongolia. Landing in Ulaanbaatar, we meet our local guide and driver. We then take the one and a half hours’ drive to Gorki-Terelj National Park. The park features unique rock formations, scenic valleys, a winding river, and restful groves of trees. Many nomads live in the park itself, where they find good grazing for their animals. Upon arrival in the park, and if time permits, we will take a short hike to a nearby hill, from where we watch the sun set over the park (weather permitting of course). We will spend the night in a ger camp in the park. Today we drive back in time, to a place that recreates the lives of Mongolian nomads during the beginning of the 20th century, the time when Mongolia has gained its independence from the Qing Dynasty, and established itself as a reemerging nation, under the reign of a living-god king. We shall attend a demonstration of the way the nomads have lived their lives during this era, as well as stunning performance of Mongolian horsemanship. In the afternoon we arrive at Khustaiin Nuruu Strictly Protected Area (SPA). 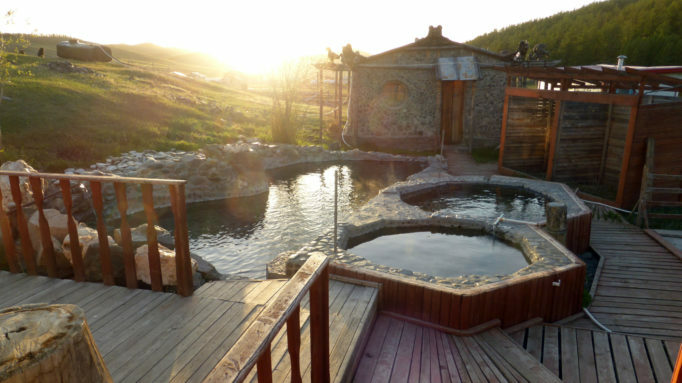 The SPA was established as part of a unique project to reintroduce the world’s last surviving wild horses back to their natural environment. On the brink of extinction during the last century, only a very few Takhi or Przewalski’s horse were left in zoos around Europe. This graceful steppe horse was returned to Mongolia, and today, thanks to this special project, two herds again roam the Mongolian steppes. Overnight in a ger camp. We Leave Khustaiin Nuruu, and continue our journey west as we arrive at Khar Bukh Balgas. Built during the Kitan Period, at about 1000 AD, this was a part of a chain of fortresses that were used to govern and control the northern region and borders of the Khitan (Kidan) State. Upon arrival to the site, we will explore the ruins, and learn about the various kingdoms that dominated Mongolia at that era. In the afternoon we arrive at the shores of Ugii Lake, where many nomadic families spend the summer. We will take a walk around the lake shores, and spend the afternoon with a nomadic family, learning about their unique way of life. Overnight in ger camp. Leaving the lake’s shores, we drive to Khultigen monument. The massive stone tomb was built in honor of a Turkic prince and warrior killed in a battle that took place not far away. The stone is engraved in both Chinese and Runic scripts. From here we continue to Khar Balgas. Built at about 744 AD, Ordu Baliq has flourished as the capital of the Uyghur Empire until 840 AD, when it was destroyed by the Yenisei Kyrgys. Though not much is left to date, this city has spread over 25 sq. km, and ruled an area that spread over the majority of now days Mongolia, the Chinese Xingjian Province, and Manchuria, at total of 5,500,000 sq. km. Late in the afternoon we reach the region the Mongolians call the ‘paradise of the horse herders’ for its lush grasses and open valleys. We drive through thick pine forests to the Tsenkher hot springs, where water flows out of the ground at 82 C, and where we can enjoy a relaxing soak. Overnight in ger camp. Today we drive through the south-eastern slopes of the Khangai Mountains, Mongolia’s second largest mountain range. We drive along river banks, and through vast flourishing meadows. Around noon we arrive at a beautiful volcanic canyon through which the Orkhon River flows. Here we will take an easy hike along the canyon floor, and end up at the pool at the bottom of the Red Waterfall. For the brave at heart, a cool swim awaits! From here we take another hour’s drive to a beautiful observation point over the Orkhon River canyon, where we stay for the night. Overnight in a ger camp. Driving north along the Orkhon River, we will visit one of Mongolia’s most impressive monasteries, where we take a 2.5 hours hike. Located at the top of a high hill with a view of endless pine forests, Tuvkhon Monastery was established during the 1650’s by Zanbazar, one of Mongolia’s most respected religious leaders. Fleeing the Manchu Emperor, the Zanbazar built a monastery in this hidden place, using a natural system of caves and adding small wooden buildings. In the afternoon we keep on driving up the river to Kharkhorin. Overnight in ger camp. Built by Chinggis Khan about 800 years ago, Kharkhorin, better known as Karakorum, was famed throughout Asia as the capital of the Mongol Empire. Within the walls of this spectacular city kings were chosen, laws made and the fate of the next city to be conquered were determined. We will visit the ruins of the old city, the Erdene Zuu monastery and other historical monuments in the area. After lunch we take the 5 hours’ drive back to the Mongolian capital. If time permit, we will pay a visit to the National History Museum, which holds a permanent exhibition on the different civilizations that have inhabited the territory of Mongolia from prehistoric times to the present, including a significant display of objects from the era of the Great Mongol Empire. In the evening we will enjoy a farewell dinner followed by a visit to Zaisan Hill, to enjoy the view of the city at night. Overnight in a 4-star hotel. After breakfast at our hotel, we drive to Chinggis Khan Airport, for the international departing flight. This is just to let you know that we arrived safely home yesterday night after a riveting trip that was organized with the precision of a Swiss watch. In a hurry, thanks very much again for your efforts, one huge problem that remains is how we will ever be able to lower our standards again after this most pampering experience.